The Key West High School Baseball team has started their season off undefeated. After sweeping North Port last week, the Conchs took care of business under the lights against a strong Pembroke Pines Charter team. The first game, the difference between the two sides was defense as Key West won 5-0. The second game, the difference was determination as Key West escaped a close one 6-4. 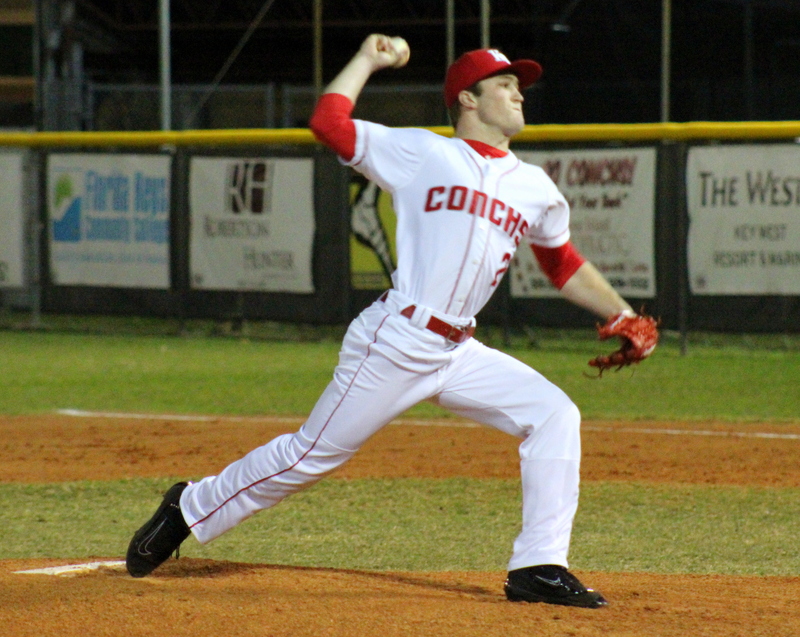 On Friday night, Hunter Mattheessen was the starting pitcher for the Conchs. The senior struck out the first two batters he faced and continued to roll ending the night with only hit given up and four strike outs. Pitching for the Jaguars was UM Commit Daniel Rivero. Rivero found himself in a jam in the bottom of the second as Key West loaded the bases after three straight walks. With two outs in the inning and the bases loaded, Jason Garcia ripped one to right field. The stand up double by Garcia brought home Will Anderson and Antonio Knowles. A wild pitch by Rivero gave Key West a three run lead still with two outs. Jason Garcia advanced to third base and Randy Garcia walked as well, brought up senior Hunter Sellers. Sellers reached first base as Jason Garcia came home giving Key West a 4-0 lead through only two innings. In the top of the third, Ty Hughes took over on the mound for Matteessen. The lefty struck out one batter, then walked the next one. Charter was looking to score as they had runners on first and second. Two outs in the inning, Jason Garcia made sure that no runs would be brought in after making an athletic catch in left field. Pembroke Pine left two on and brought no home in the third. In the bottom of the fourth, Sellers had his second RBI of game as he sent one flying to center field. The hit brought home Randy Garcia and Key West extended their lead to five. Neither team would score again and Key West would continue to play strong defense cruising to a 5-0 win over the Jaguars. 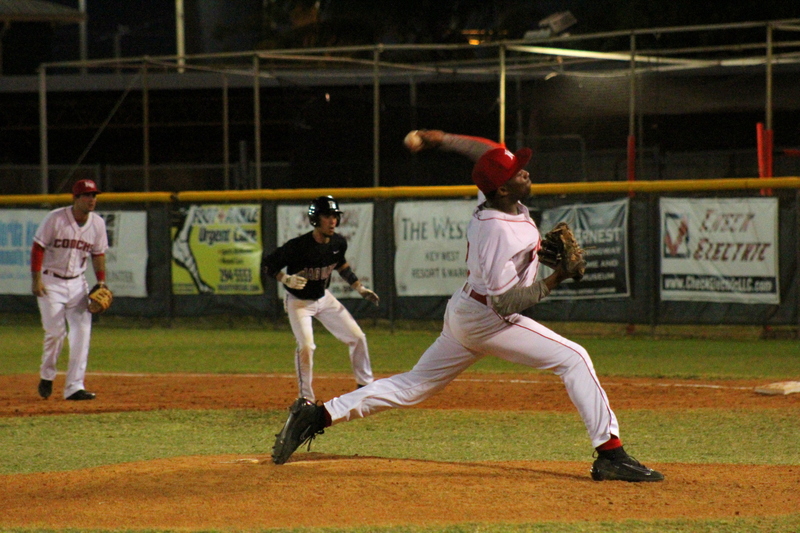 On Saturday night, Key West jumped right out to a 2-0 lead over Pembroke Pines. Matthew Herrington stepped up to the plate and sent one flying to right field which brought home two. The very next batter, Knowles reloaded the bases by being walked. The scoring spree ended as Damon Taylor grounded out to first base. Unlike Friday night, Charter found success in scoring. A deep fly ball to center field allowed the runner on third to tag the plate and come home cutting the deficit to only one run. Unable to score again, the Jaguars were only down one heading into the bottom of the third. Key West went wild in the third. 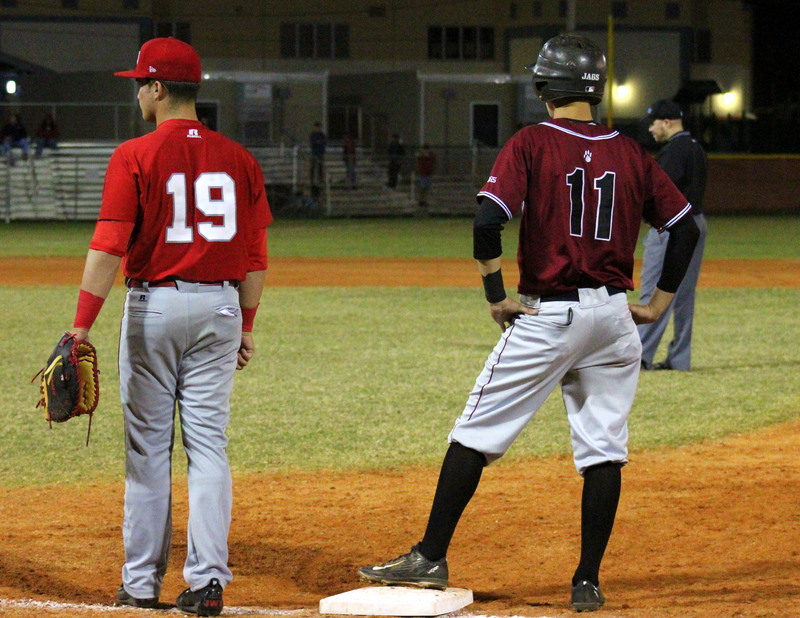 This time with the bases loaded, head coach Ralph Henriquez made sure the Conchs scored. 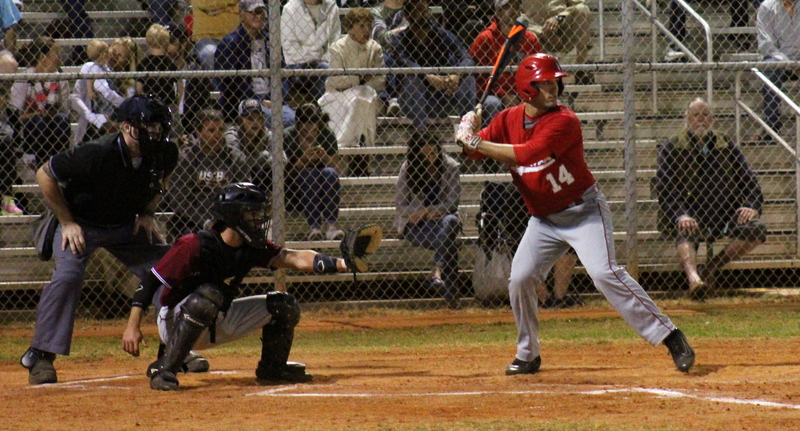 Senior Patrick Edwards sent one to center field, a triple that cleared the bases scoring 3 runs. After the third inning, the Conchs lead 5-1. In the bottom of the fourth, Sellers delivered big time. Facing a 2-1 count, the senior took a swing at the ball sending it to the wall in deep left field. The ball bounced around as Sellers sprinted to home plate. Charter was unable to catch him as Sellers gave Key West a 6-1 lead with an inside-the-park home run. Pembroke Pines wouldn’t go down without a fight. In the top of the sixth, the Jaguars scored three runs after two critical errors in the outfield. However, the rally wasn’t enough. Kyle Snow secured the win in the top of seventh and earned the save. The Conchs won 6-4 completing the sweep. Key West (5-0) travel next week to face Southridge (4-1). These two teams haven’t played each other since the 2014 season when the Conchs came out on top 8-1. The following day, the 27th, Gulliver Prep (3-2) comes to town in the first 5A District 16 game for the Conchs.